In Small Things Remembered » Vice President Richard Nixon greets Afghan children. 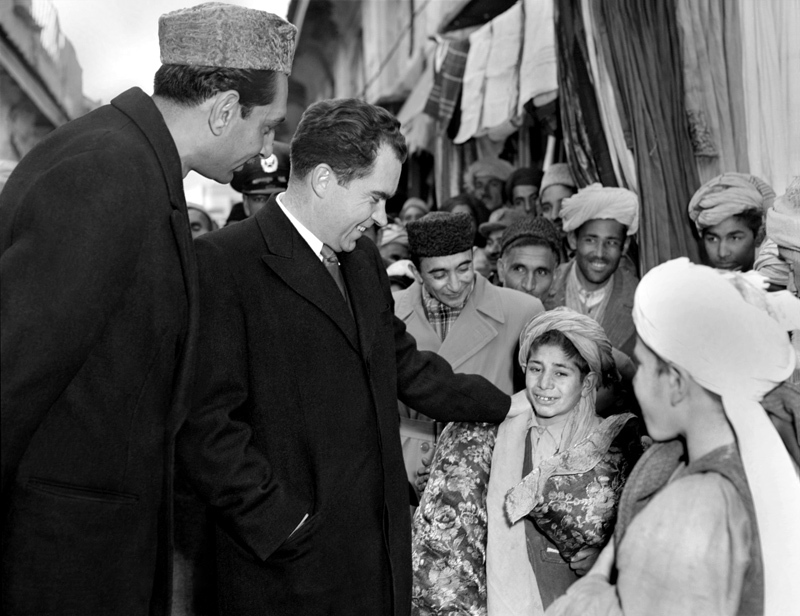 Nixon visited Kabul to speak with the King and Prime Minister Daoud during his goodwill tour of Asia. The meeting made such an impression on Nixon that 16 years later, when he was President, he sent King Zahir Shah a nostalgic telegram from Air Force One while flying over Afghanistan en route to the Philippines.